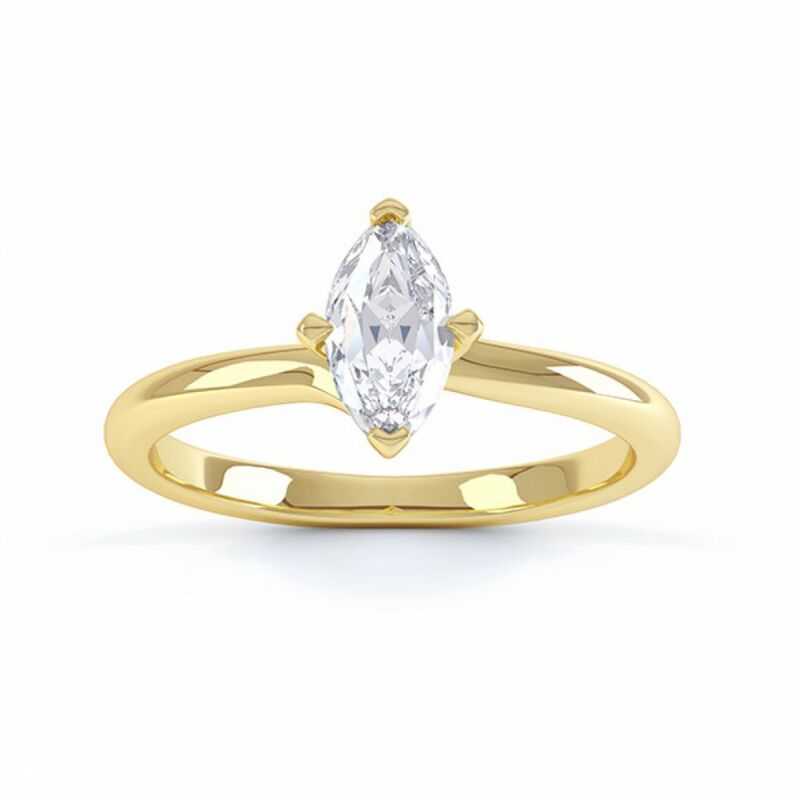 Enjoy the unrivalled simplicity of the Venice 4 claw Marquise twist engagement ring. Styled with a sparkling Marquise-cut diamond, each shoulder tapers with elegance to embrace the diamond within a twist claw design above a comfortable court profile band, perfect for everyday wear. The Venice Marquise twist Engagement Ring benefits from unrivalled simplicity. Four sweeping claws flow from a comfortable 2.5mm court shaped band. This simple Engagement Ring complements the slender profile offered by the Marquise Brilliant cut Diamond. Offered in a range of carat shapes for size variation, we can create this ring design based on your chosen whiteness and clarity grade. 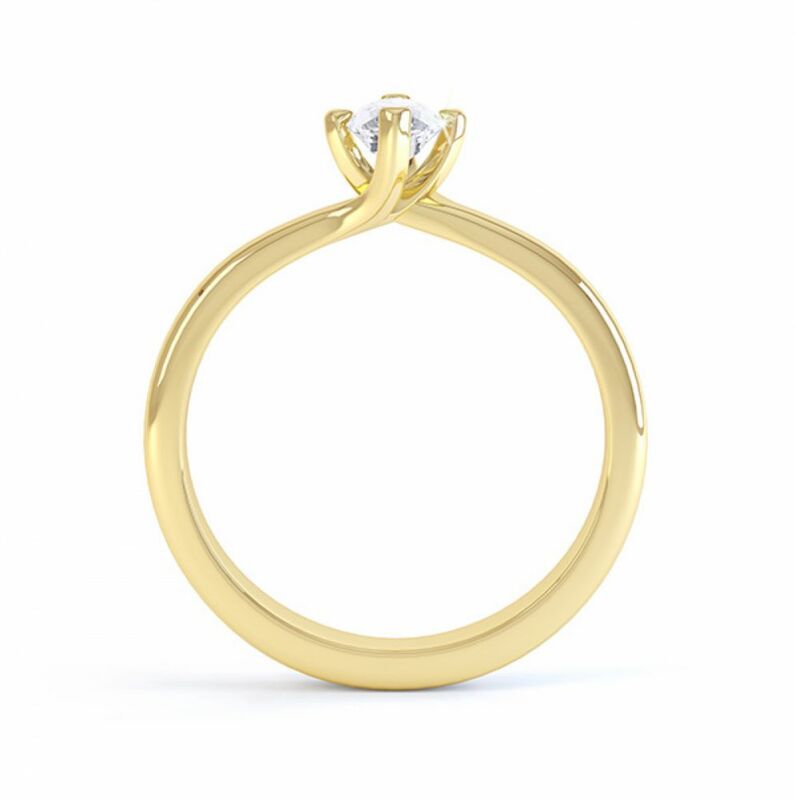 Flowing from slender shoulders, sculptured claws secure the Diamond at either point. The presence of side claws ensures stability to the design which results in a perfectly balanced setting styled to elongate and accentuate the finger. 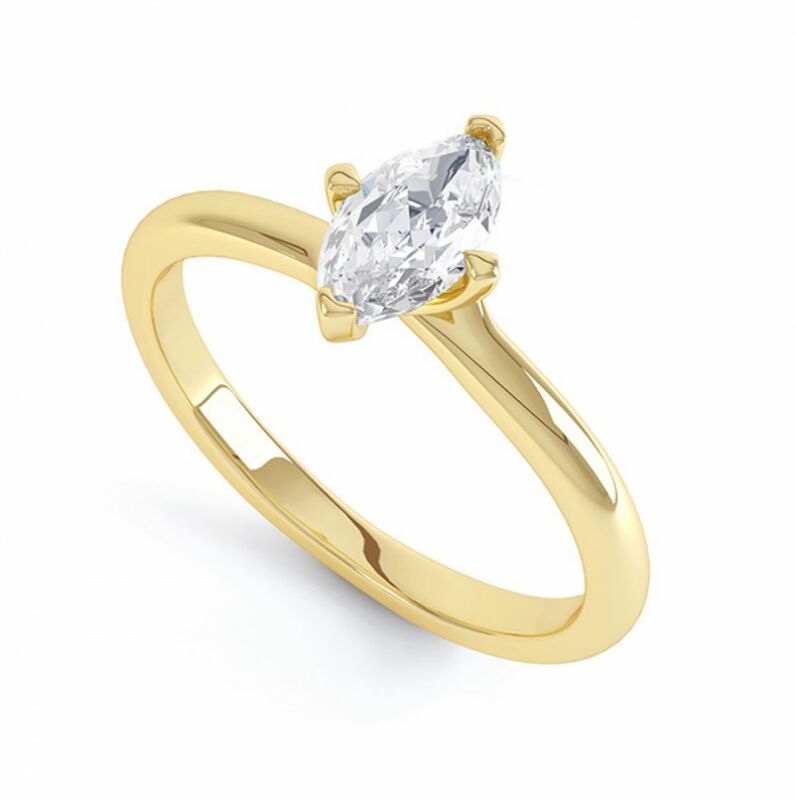 The Marquise cut Diamond offers the wearer a unique opportunity to select a more unusual Diamond shape. We select each Diamond, working to desirable proportions, crafting the ring by hand over approximately 4 weeks until your ring is completed. We offer delivery across the UK, to Ireland, Europe, USA, Canada, Australia and other countries worldwide. 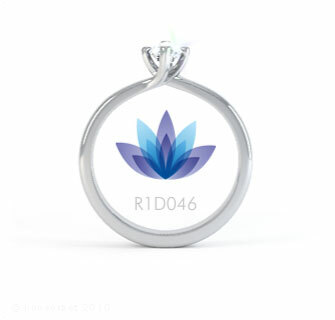 Purchase in local currency payment, with free shipping and beautiful packaging on all purchases.